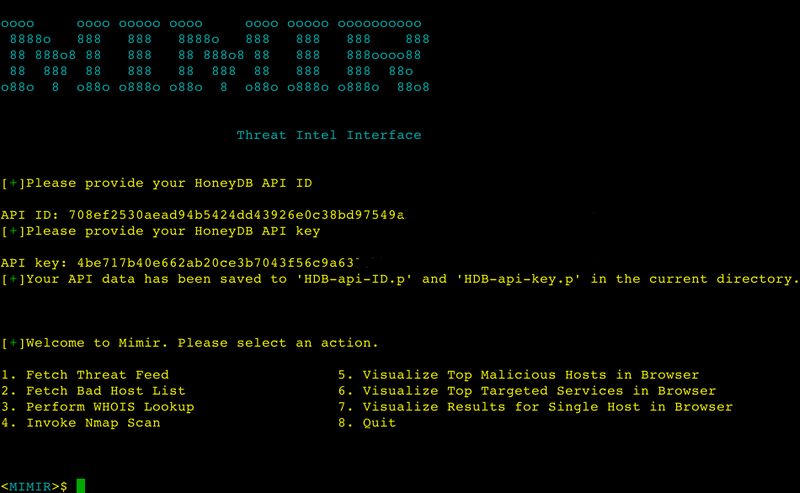 Browse: Home / Mimir – OSINT Threat Intel Interface. – The purpose of this tool is to make intelligence gathering easier by including functionality to save the Threat Feed and Bad Host lists, and invoke either an in-script WHOIS lookup or Nmap scan to learn more about the target hosts. Logs are saved in the current working directory for future reference and further processing. – HoneyDB provides a data visualization service, this can be accessed via Mimir by selecting their respective options. Selenium will then employ the Geckodriver to open the pages. ← WiFi-Pumpkin v0.8.5 – Framework for Rogue Wi-Fi Access Point Attack.